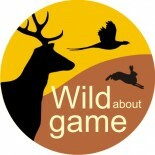 Shooting game is a seasonal sport which means certain types of game are only available during specific times of the year. Rabbits and Hares can be shot all year round. If you would like to see which products we currently have in stock, please click here. This entry was posted on October 20, 2013 by wildaboutgame.